NEW DELHI: Both the BJP and the Congress on Thursday were involved in a heated verbal duel over Shashi Tharoor’s “Hindu Pakistan” comment. While, the Congress leader reiterated that BJP/RSS idea of a Hindu Rashtra is a “mirror image” of Pakistan, the saffron party demanded an apology from Rahul Gandhi. “I have said this before and I will say it again,” Tharoor wrote in a Facebook post and added that he doesn’t want India to turn into a state where rights of minorities are suppressed, like they are in Pakistan. “I don’t see what exactly I need to apologise for BJP’s point of view. If they are no longer interested in the idea of Hindu Rashtra they must admit. Until they do so, how can one apologise for reflecting their point accurately,” Tharoor further added while speaking to the media. Yesterday, the Congress leader had stoke a controversy by suggesting that a BJP win in 2019 Lok Sabha polls will create conditions which would lead to creation of “Hindu Pakistan” — “a nation that’ll remove equality for minorities, that’ll create a Hindu Pakistan and that isn’t what Mahatma Gandhi, Nehru, Sardar Patel, Maulana Azad and great heroes of freedom struggle fought for,” he had said. 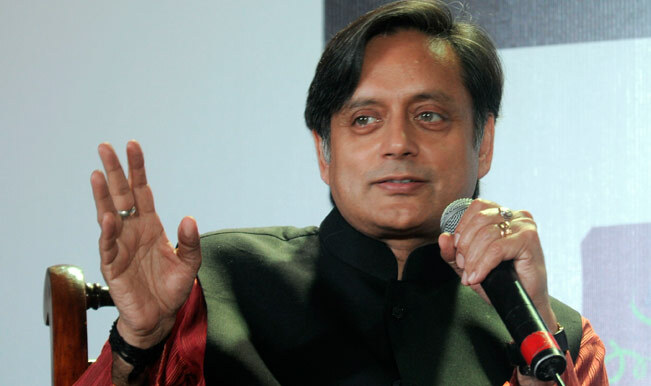 Following furore, the Congress, without naming Tharoor, urged its leaders to be “cautious” and “choose their words carefully”. “Congress party has huge contribution in India’s progress, which is far ahead of Pakistan,” said Jaiveer Shergill, Congress’s national media panellist, to Times Now and added that India will “never turn into its neighbour under any circumstances”. An enraged BJP hit back at the Congress leader and accused him of “demeaning” Hindus and “defaming” India. Party’s national spokesperson Sambit Patra also demanded an apology from Congress chief Rahul Gandhi. “Congress was responsible for creation of Pakistan because of its ambitions and yet again it has gone ahead to demean India and defame Hindus of India,” Patra slammed Tharoor for his comments. “From “Hindu terrorists” to “Hindu-Pakistan” the Pakistan appeasing policies of Congress are unparalleled!” he added. “Pure hallucination, a withdrawal symptom,” Union minister Rajyavardhan Singh Rathore joined Patra in criticising the Congress leader. “This is pure hallucination by Shashi Tharoor, I think this is withdrawal symptoms of the fact that neither they are in power nor do they see power coming to them again. It’s Congress that has infringed our Constitution and freedom of our citizens,” Rathore said.